Pinnacle Clinical Research is dedicated to conducting late phase clinical trials in the areas of Hepatology and Gastroenterology, with a special focus on fatty liver disease. They came to us looking for a layout that was different than your normal template based design that everyone else is using. 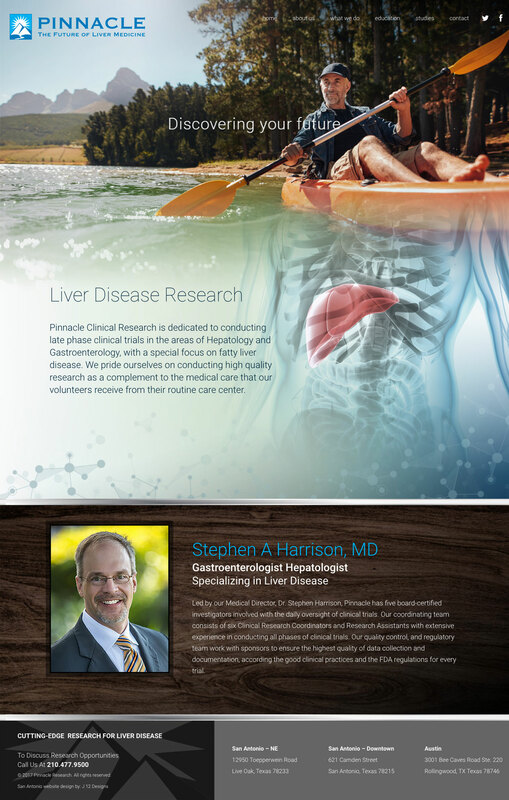 Dr. Harrison is a respected leader in liver research and we are proud to give him the professional web presence that he deserves.